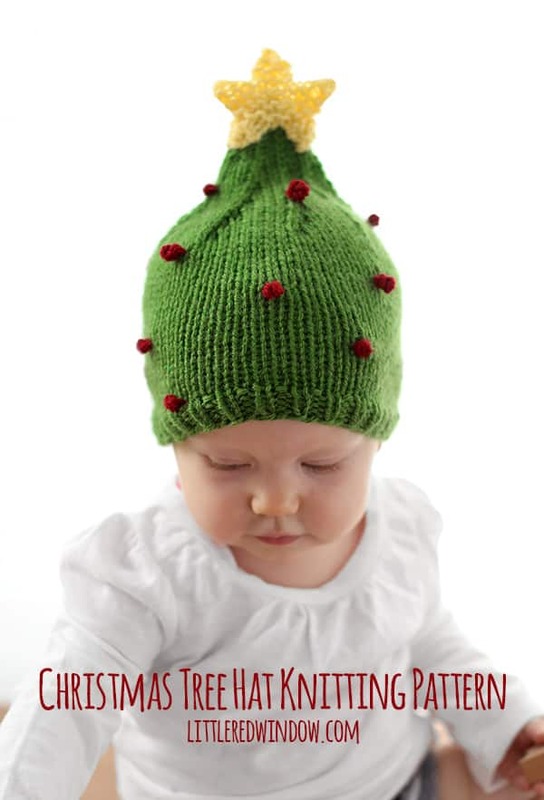 Knit a cute Christmas Tree Hat with this free holiday knitting pattern! My dad is a total Christmas carol scrooge. So we had a rule in our house growing up that my mom and I couldn’t play any Christmas carols until December 1st. Let me tell you, it was a hard wait some years! But guess what? It’s December 1st so we can bring on the Christmas (if you celebrate)! And I think pretty much my favorite part of Christmas is the tree. It just smells so good! We had a fake one until we moved into this house and then there was a Christmas tree lot two doors down so we pretty much had to get one. And it makes me so happy! 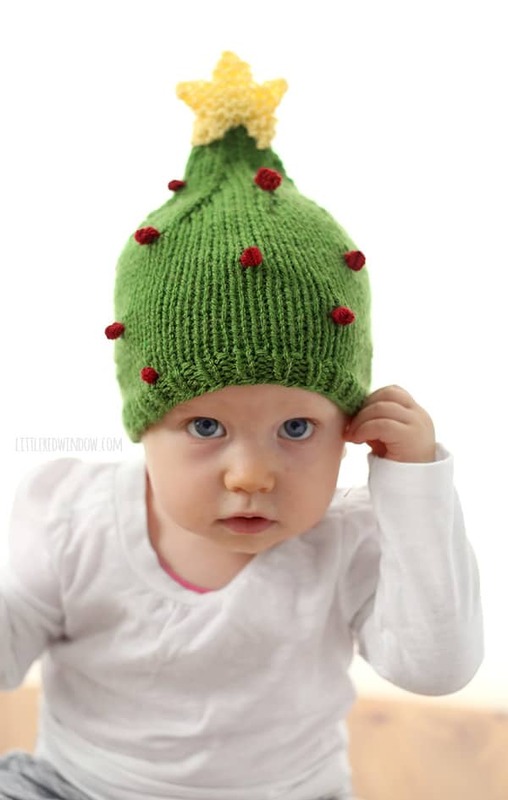 So I thought this year, a Christmas tree hat was in order for Baby V! It has a star on top and little ornaments, how cute is that?! I’m not going to lie, the star was challenging to figure out, but I think it turned out cute (it’s a little fiddly but totally doable!) Scroll all the way down for the free pattern, Merry Christmas! 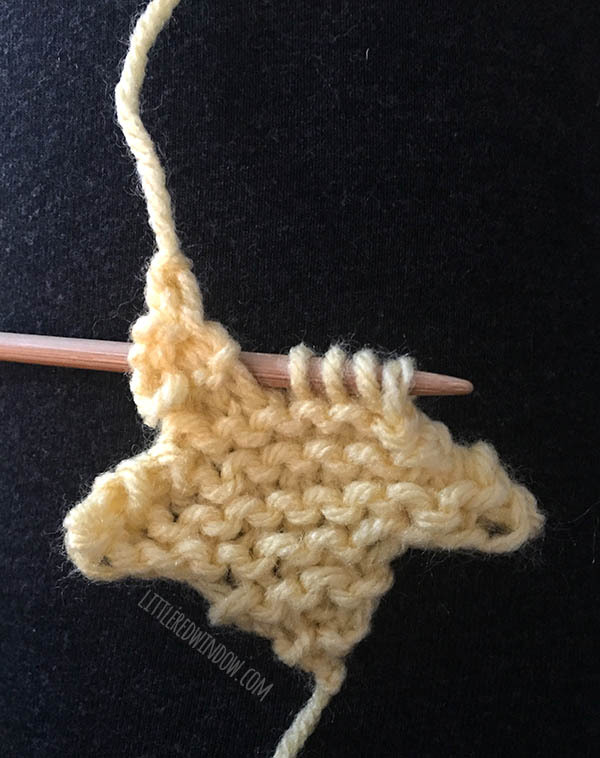 Using long-tail cast on, cast on 64 stitches onto your circular needles with the tan yarn color. Join to knit in the round and k1, p1 in a rib stitch for 5 rounds. Knit all rows until the hat is about 4 1/2 inches long. Needle 1: (k4, k2tog) repeat two times. Needle 2: (k4, k2tog) repeat two times. Needle 3: (k4, k2tog) repeat one time. 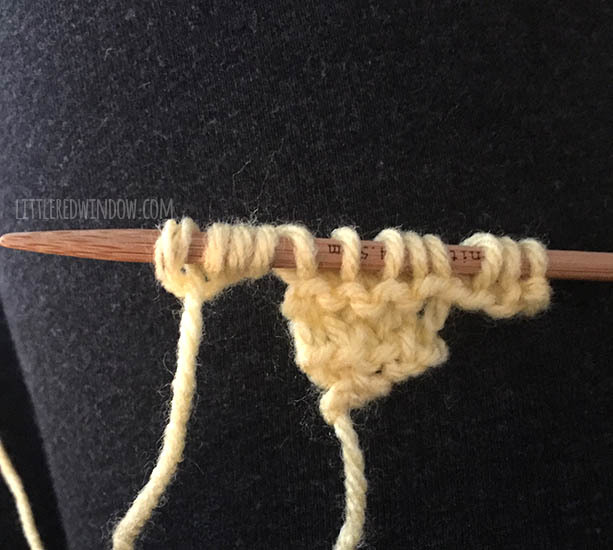 Rounds 6 -7: Use the fourth double pointed needle to knit all stitches to the end of the round. Round 8: (k3, k2tog) and repeat to the end of the round. Rounds 9-10: Knit all stitches to the end of the round. Round 11: (k2, k2tog) and repeat to the end of the round. Round 15: (k1, k2tog) and repeat to the end of the round. Round 20: k2tog and repeat to the end of the round. 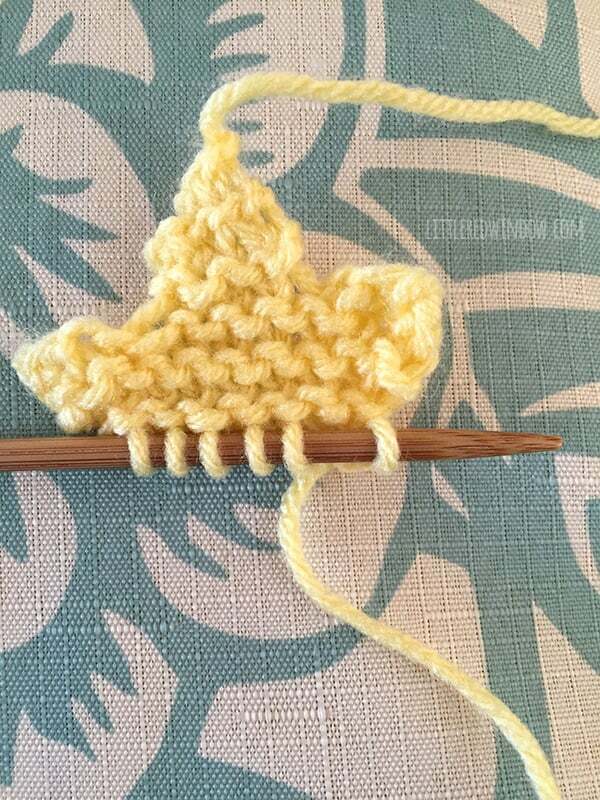 Using double pointed needles as straight needles, cast on 1 stitch with yellow yarn. Split stitches onto two needles (or one needle and a stitch holder), work with only first 4 stitches first to make first star bottom leg. 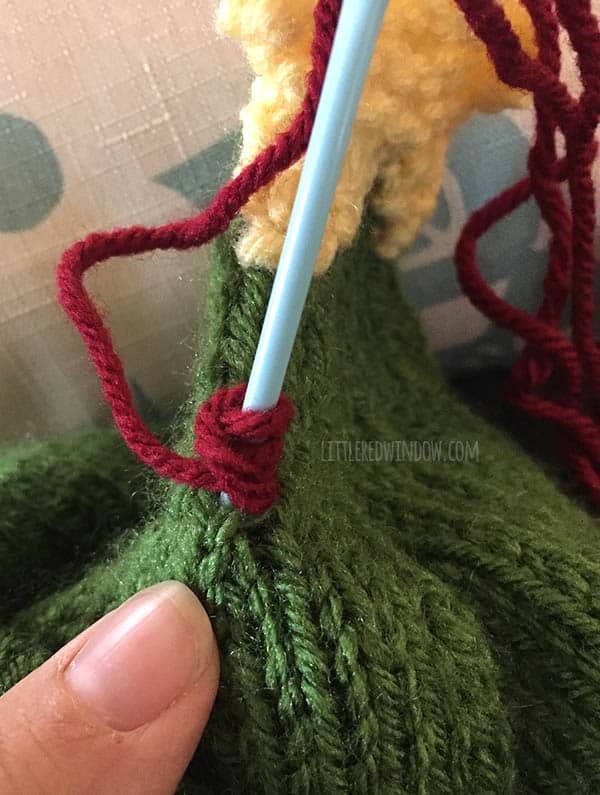 Cut yarn and pull through loop to close. Weave in that end. Hold star so finished star bottom leg is up and on the left, join in new yarn and repeat rows 1-4 above with other bottom leg (the other 4 stitches on your extra needle or stitch holder). 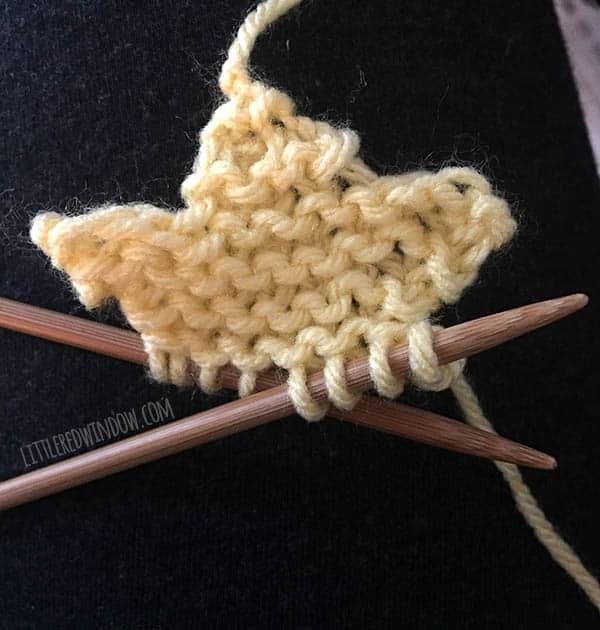 Use a length of yellow yarn to stitch the star to the top of the hat, it will look the most star-like if you gently shape it and pull apart the bottom legs just a little bit it as you stitch it on. If you used a natural fiber yarn, you may also want to block it first! I made my ornaments using french knots, a common embroidery stitch. 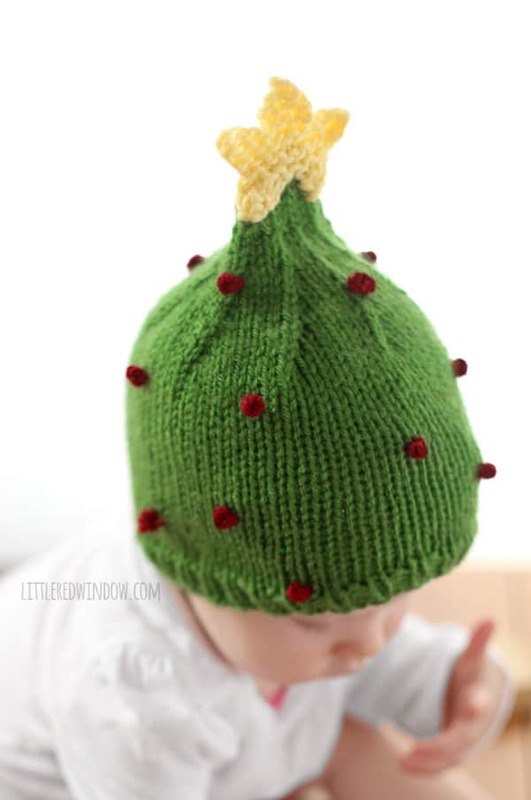 You could also use tiny pom poms! 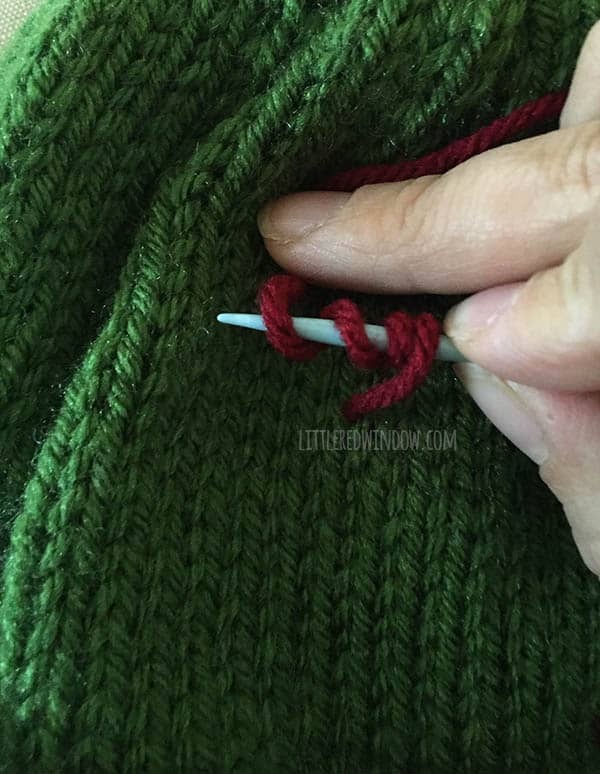 To make a french knot, thread your yarn needle, make a knot to secure the yarn inside the hat and bring the needle from the inside of the hat to the outside. 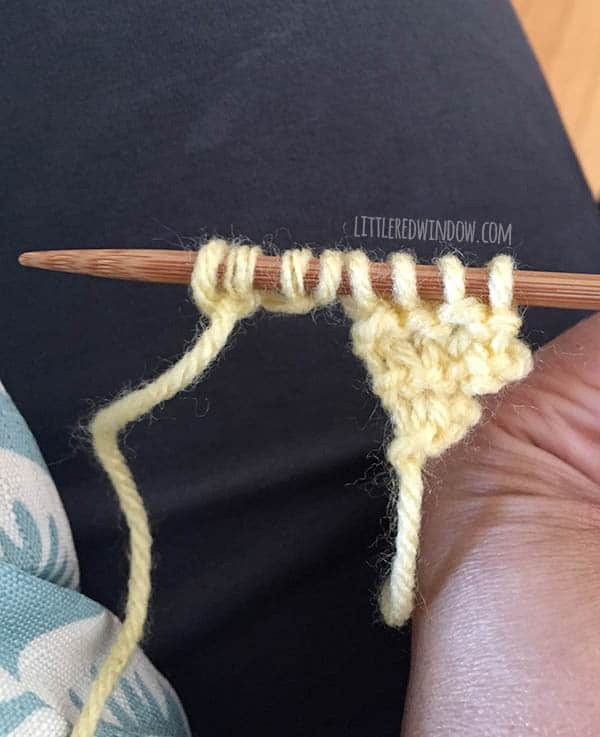 Wind the yarn around the needle four times and bring it back down just next to where it came up. Pull it through slowly to make a nice neat knot. Secure and weave in ends on the inside of the hat. 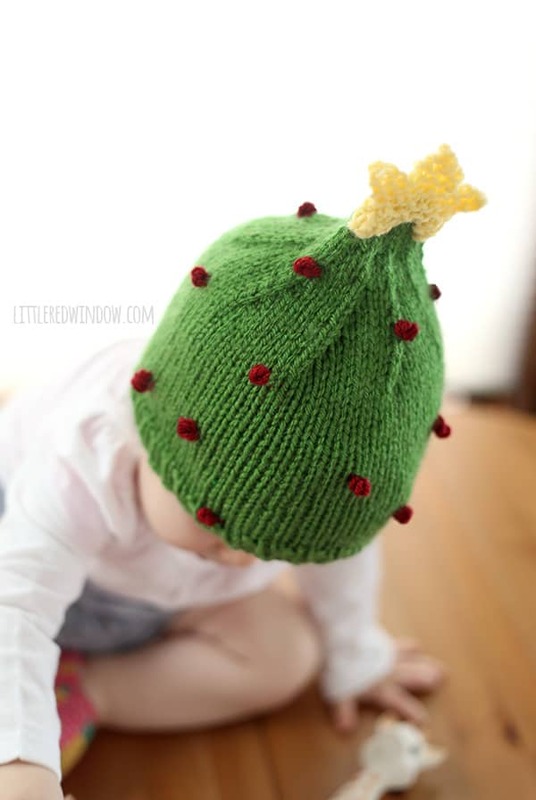 Repeat as many times (and use as many colors) as you want to decorate your Christmas Tree hat! 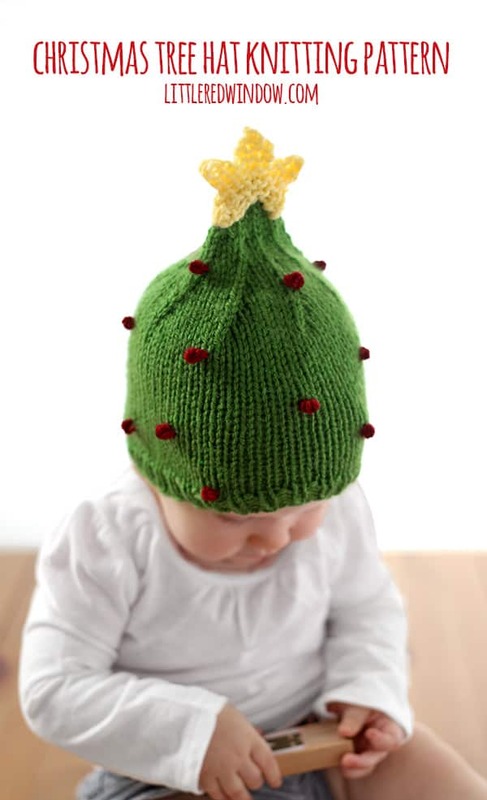 After you’ve hung all your ornaments, your Christmas Tree hat is finished! The PDF printable also contains instructions for sizes 0-3, 12 months and 2T+!